Gerald is one of the hardest working and self-motivated actors around. I first met him in 2012 when I invited him over to my place to discuss the plight of actors and the possibility of a Guild. He was passionate, keen and appeared focused. He seemed ready to brave through the challenges of starting the first website tailor-made for actors as there was no other source of actors getting auditions apart from a handful of casting directors who appeared as demi–gods to many. 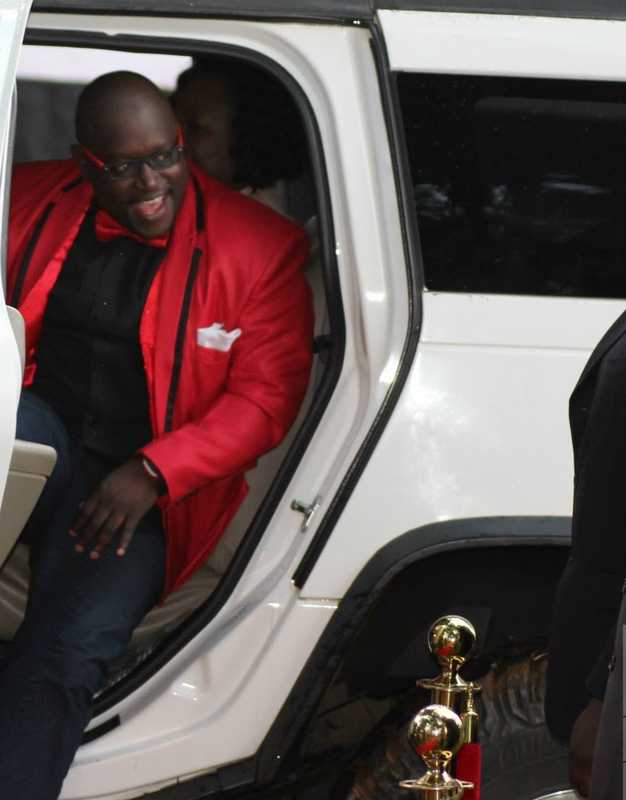 He later won the best film blogger category at the 2014 African Film Development Awards. I caught up with him to figure out what he really is about. My thoughts follow the recorded interview. Karibu! Rogers Otieno (RO): Are you social in spite of being an actor or are you an actor in spite of being social? Gerald Langiri (GL): Well, I have always been a social human being from as far as my “cha baba na cha mama” years (Children’s game where they play members of the family. The most charismatic one automatically played father or mother). Having been born and bred in Mombasa, a city and town where you did not suspect the next human being next to you and there isn’t much segregation where the rich have their place and the poor theirs, it kinda helps you grow interacting fearlessly with everyone you meet. So I guess I am social in spite of being an actor and one of the outcomes of being an actor is the fact that you do have to interact with lots of people. My being social compliments my acting career I will admit. R.O: Do you really struggle with weight? RO: Which project do you feel really made you a public figure? played before and I always go “You watched that? 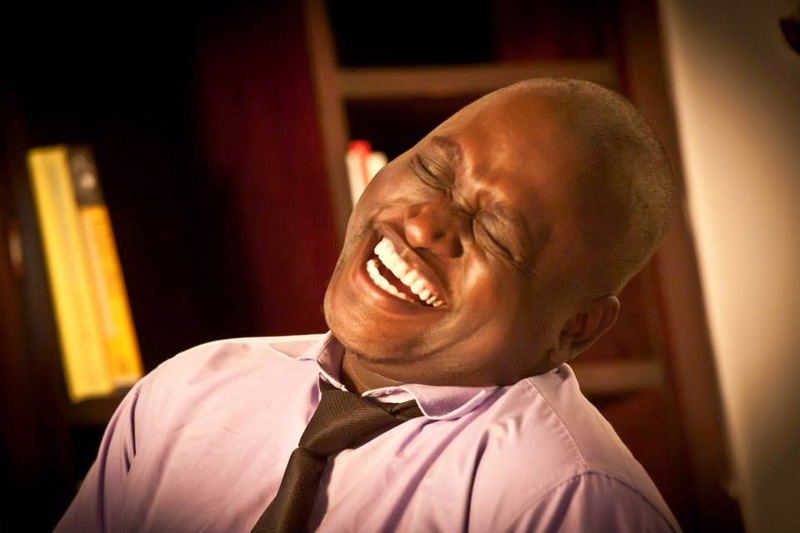 ?” I think I am however remembered mostly from Mali where I played the character Don (the family lawyer) and from Papa Shirandula where I played Mr. Araka Smart although I was there for about 10 episodes…but years later I’d still meet people who call me Araka Smart. The Movie House of Lungula also got so much publicity and stirred a lot of conversation which put my name out there. 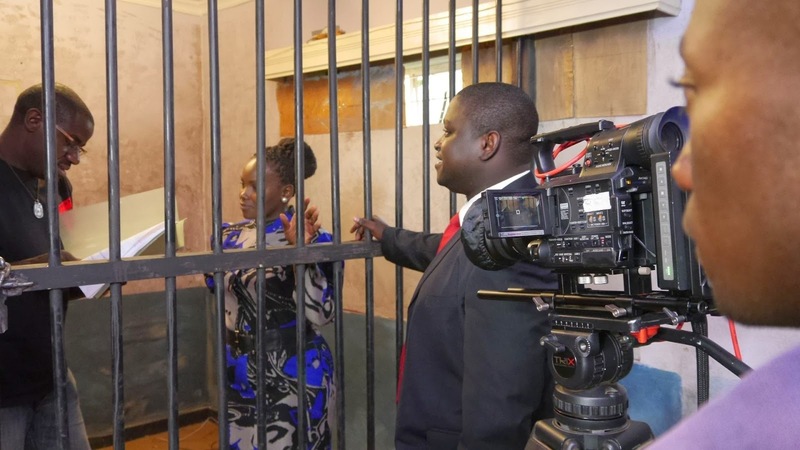 I am currently on a show on Citizen TV titled Santalal where I play a two faced corrupt Police Commissioner and that has also grabbed people’s attention and I am now being called Commissioner wherever I go. RO: (Prods) Come on dude…Do you consider yourself a celebrity? RO: But do you find it challenging to live as a famous person? GL: Yes and no…Yes, because being known and being in the public light, the society expects you to be something else that maybe I am not or do not want to be. No, because I do not let that get to me. I am who I am and I always tell myself, everything will come at its own pace and time…that limo and that house by the beach that I want and that the public assume I live in will come and even when it does, I’ll still be me…so no challenges being famous. If anything, I think the benefits of being famous are more than not being known. RO: Do you feel like acting as a career in Kenya is limiting and one must get a job with more public influence like being a TV presenter or have a show to stay relevant? it with this one because I honestly feel like our celebrities in Kenya are not quite celebrated like they should be, especially if you are a broke celebrity like many of them are. Producers and even TV networks in Kenya start thinking because you are now known, you might be expensive to get or make high demands but many forget its work for some of us and being known is a byproduct of what we do- especially if you do it well. It is why you then find that once many actors get to a certain level, they end up getting into other careers like radio, TV or making their own shows in order to get the money they need to sustain themselves …otherwise they don’t get work as often anymore. Luckily there are producers who understand what star power can bring to them and prefer working with these actors who have built a name for themselves and branded themselves well, mixing that with new actors coming into the market. In Hollywood it’s totally different though. TV executives and production companies want to work with these actors more often than not to rake in their profits. RO: What was your big break? GL: Mhh, I am yet to get it. Seriously, despite having been in several projects, I am yet to admit that I have received my big break. Not to take away anything from the projects I have been in before, every project has been a milestone in my career and every project has led to something after that. I guess with that, I can say that every project I have undertaken has been my big break of sorts. I am however still waiting for that project that will turn my world upside down (positively of course) and I guess that is what I’ll consider my big break. 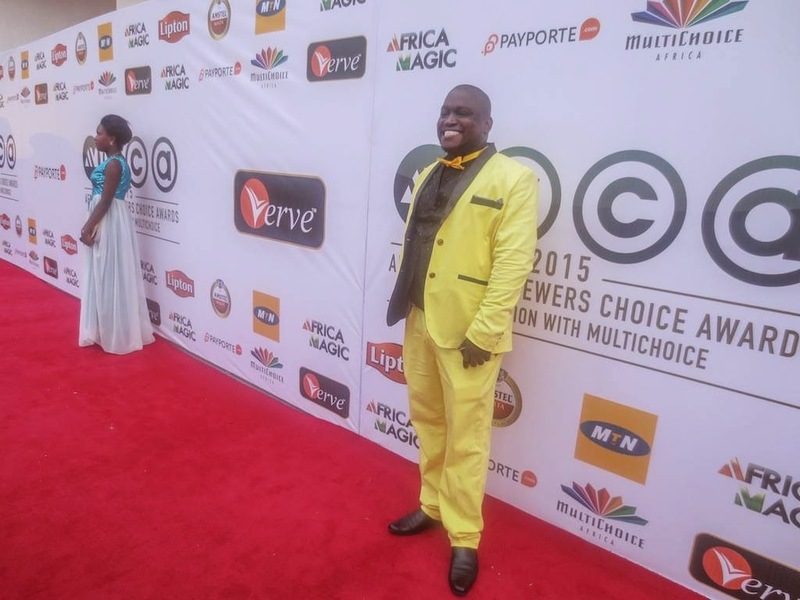 RO: What was your experience at the AMVCA (Africa Magic Viewers’ Choice Awards)? could see why it is the case. The people have so much sense of pride and appreciation of their own especially if you are an actor. From the airport to the people you meet, simply say you are an actor and doors open for you…literally. The actors and the film fraternity people I met as well had a sense of “This is work. This is serious business” and that is the one thing I most loved about Lagos. The awards themselves were well orchestrated and carried out. We have a long way to go with our Kalasha Awards honestly. It was indeed a huge red carpet affair for that matter because film is huge in Nigeria. I can’t wait for the day I can say the same about Kenya. 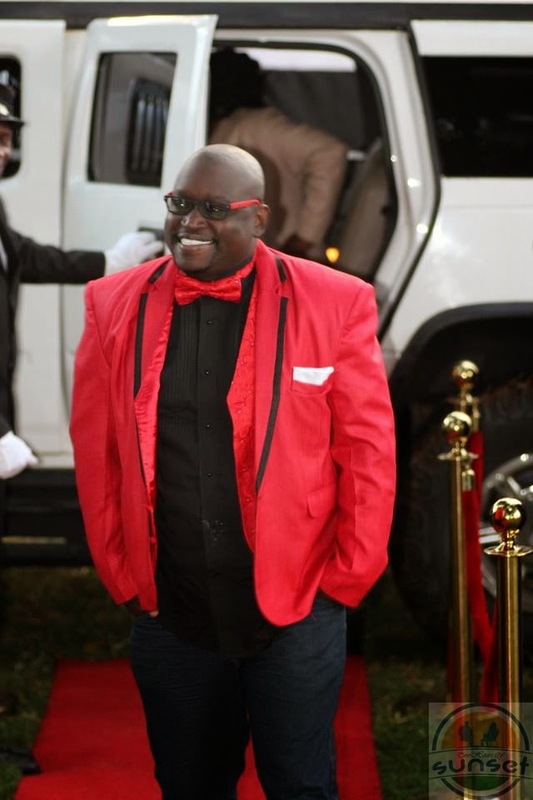 RO: What does Kenya have as an advantage over Nollywood? GL: The locations. Kenya is a beautiful country I must admit. I remember coming back home from Lagos and was in awe of Nairobi. We have magnificent locations and really good weather to make blockbusters. Why we don’t use them or shout about it, I don’t know. RO: So what did you come back to? GL: We are currently in the pre-production of the series Stay (Season 2). Many might remember Season One that aired on KTN in early 2014. It is the series that got me my 1st acting award at the Kalasha Film and Television Awards 2014 as the Best Supporting Character on TV for my character Nico. I am excited about Season Two as we also have new cast coming on board. The likes of Kaz, Adelle Onyango, Kingwa Kamencu among others while still maintaining the initial cast of Mkamzee Mwatela, Jason Corder, Joed Ngaruiya…so yeah, I am happy about that. not know this but I once cast my actors from your website. However, I hope you appreciate that our fraternity is also in a way conservative. What do you think of those who may dismiss this as too much hype? GL: Well, I admit I really do know how to push my name out there. I wish many actors could do the same. Otherwise we complain that musicians are usually being given more spotlight and we are not. Well, it’s because in the public eye, we do not matter – because we do not sell ourselves to the public! So corporates would rather musicians brand their products as opposed to actors. Gerald’s consistency in acting is admirable. In a span of four years, he has played major roles in eight TV programs, five films -and two web series (considering they are still a rarity in our industry!) He has also won about three awards and received at least five nominations. So would you dismiss him as a socialite or a progressive aspect of the performing arts continuum? Well, they say men lie, women lie, but numbers don’t. I invite you to do the math.